A huge sticker fan, I first discovered iwillnot‘s stickers almost a decade ago while combing the streets of DC in search of striking street art. Soon afterwards, I met him and was struck by not only his outstanding aesthetic sensibility, but his huge passion for stickers and its wonderfully democratic collective culture. In his recently released and hugely popular book, Smashed: The Art of the Sticker Combo, iwillnot shares not only his story, but provides us with tremendous insights into the entire sticker culture. Intent on trading his stickers with other sticker artists, iwillnot had early on established a network of artists to exchange sticker packs. He was soon installing sticker combos in cities throughout the East Coast. 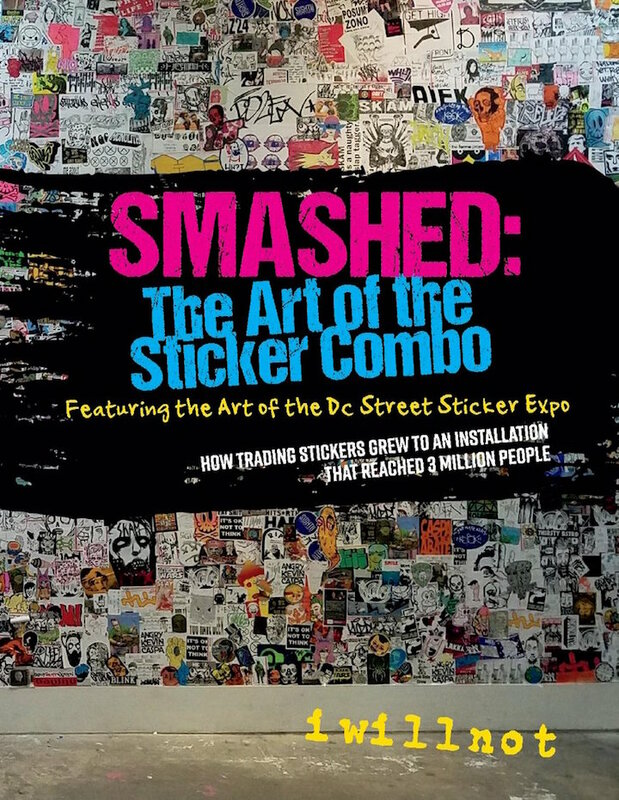 And in 2011, he began to envision “smashing an art gallery in a major city with thousands and thousands of stickers.” Smashed: The Art of the Sticker Combo documents the realization of this dream. 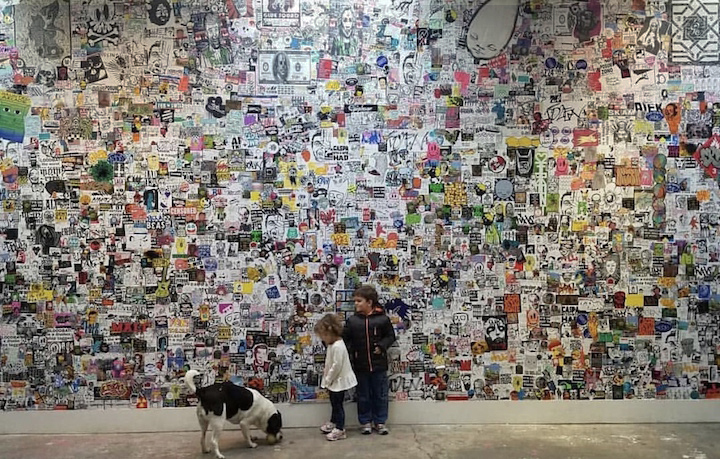 With the support of street art enthusiast and Fridge Gallery founder and curator Alex Goldstein, iwillnot curated a 12.5 feet tall by 20 feet wide 10,000 sticker installation in 2013. 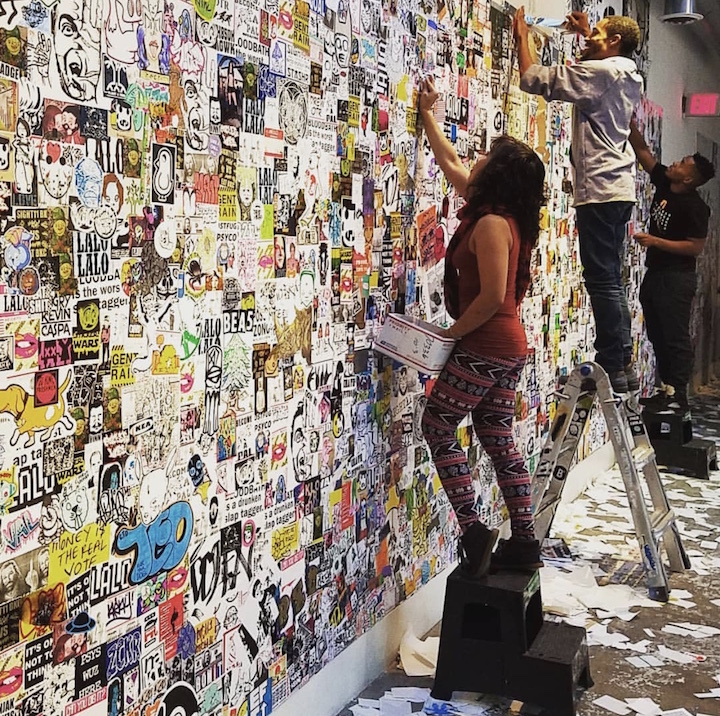 By 2016, the entire gallery was smashed with hundreds of thousands of stickers, representing over 500 artists from 15 countries. 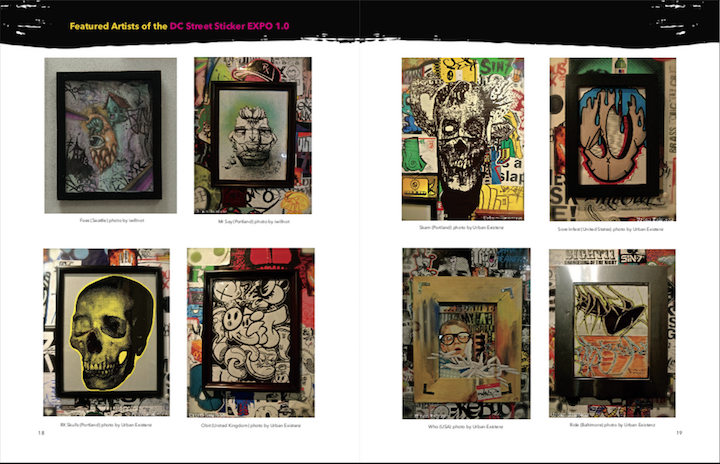 The 2016 DC Street Sticker Expo reached over three million people. With dozens of photographs documenting it all, Smashed: The Art of the Sticker Combo is certain to appeal to all of us sticker art fans and street art aficionados. The book can be purchased through Amazon or directly from the author here. 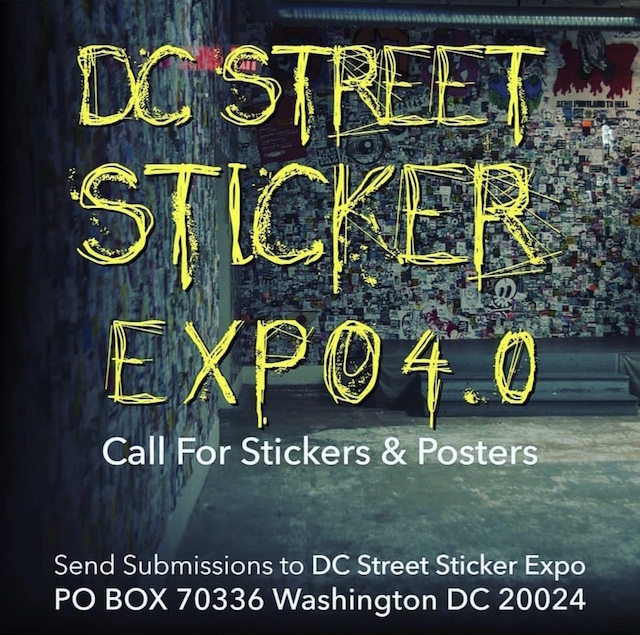 And if you would like to participate in this year’s DC Street Sticker Expo, you still can!